The Center Smells Terrific with “Cooking Matters” Underway! 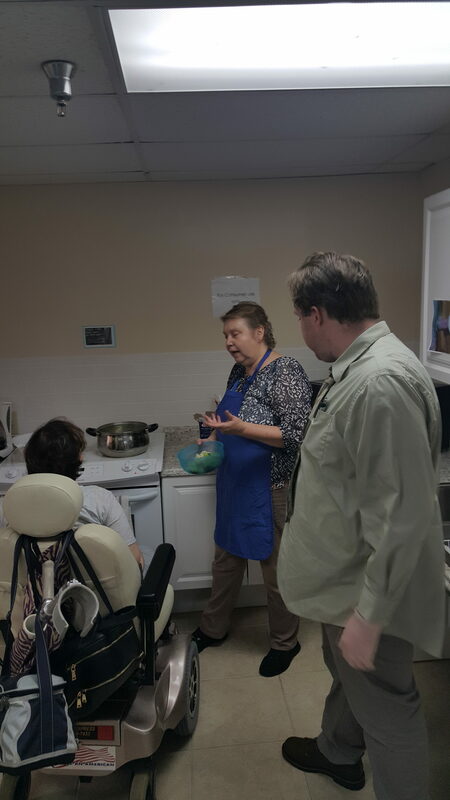 In partnership with the Family Nutrition Program (FNP), University of Florida /IFAS Extension in Pinellas County, Disability Achievement Center offers a six-week “Cooking Matters” class here at the Center. Today’s menu includes homemade macaroni and cheese and banana crumble! MMMMM good! It’s a great class taught by Chef Donna! Previous PostOctober is National Disability Employment Awareness Month! Next PostDid You Know That Uber Will Teach You Sign Language?